The legal Vermont sports betting situation is deceptively favorable, given the ease with which residents of the Green Mountain State can access regulated offshore sportsbooks over the internet. The state also has relatively lax penalties for violators of its nevertheless explicit anti-gambling laws. Vermont state laws simply don’t allow most all forms of gambling to go on in the state. The only exclusions to this are horseracing betting (though there are no horse racing facilities in the state and there haven’t been for decades), a state lottery (though residents are legally permitted to play interstate lotteries like Powerball and its derivatives), and semi-exceptions like daily fantasy sports (DFS), which is classified as a game of skill by federal law. However, Vermont’s gambling laws have nothing to say whatsoever about online sports gambling. This loophole allows seemingly full protection for Vermont’s sports fans to bet on their favorite teams at the online sportsbooks we recommend. Vermont’s interesting position, as a state that simultaneously makes betting of any kind difficult while not penalizing most forms very harshly and apparently allowing free rein with regard to online wagering, bodes well for legal sports gambling enthusiasts. We compiled this exhaustive guide to legal Vermont sports betting to help you get started. Is Land-Based Sports Betting Legal In Vermont? Vermont state law is pretty clear when it comes to the question of land-based sports betting. There are no legal sportsbooks or any gaming venues of the sort available in the Green Mountain state. However, the fines levied against violators who choose to partake in underground betting are fairly minimal at only a couple hundred dollars, but we would never encourage breaking local laws. The solution? Legal Vermont sports betting sites based overseas and outside the reach of the US legal system’s jurisdiction. The sites we recommend are licensed and authorized to accept wagers from their local regulatory agency. While they don’t have physical sportsbook locations in VT, once you log on you’ll be able to see that there are actually much more options there than you could ever find at a local gaming establishment. Online sports wagering is not a topic expressly covered by Vermont state law. Really, all forms of online gambling are unregulated in the Green Mountain State, but the best way to enjoy legal Vermont sports betting is at sanctioned and licensed online sportsbooks based overseas. Our most recommended sites in this competitive segment are Bovada.lv, the SportsBetting.ag and BetOnline.ag twins and 5Dimes.eu, all of which are regulated by the gaming authorities in their home nations and accept US players without a problem. In fact, these sites are the only way to legally bet on sports in much of the US, given the overly restrictive federal and state laws that seek to prohibit the practice. The keys laws in that regard are the Wire Act of 1961, and the Unlawful Internet Gambling Enforcement Act of 2006 (UIGEA). These laws try to limit the online gambling industry, but you can avoid all the pitfalls associated with those laws by using our recommended and legal Vermont sports betting sites. Where Can I Bet On Sports In Vermont? This is kind of a trick question, because there isn’t anywhere in Vermont that you can physically bet on sports, much less do any other kind of gambling outside of playing lotto and scratch-off tickets. The only way to enjoy sports betting is to do so at the online offshore sportsbooks we recommend throughout this guide – those being Bovada, SportsBetting, BetOnline, and 5Dimes. They’re all accessible to VT residents and they’ve got the goods when it comes to betting on your favorite teams. Placing sports wagers doesn’t get much better or much easier than using these sites, and you get the extra benefit of not having to travel out of state just to lay a few bucks on the Pats to win the Super Bowl. The closest place to bet for most VT residents is wherever they are. How so? For one, the best legal Vermont sports betting sites like BetDSI and BetOnline utterly dominate the marketplace because of their combination of an unbeatable variety of odds, reliable and secure payouts and complete legal immunity. Secondly, they’ve all got some of the industry’s top mobile sports wagering apps so you can use your smartphone or tablet to bet on sports wherever you are and whenever you get a chance. Although, if you truly want a physical sportsbook experience in Vermont you will have to be patient. Legislators have yet to introduce a bill to change the existing laws and other government agencies have remained rather quiet about the issue. Other neighboring states are beginning to enact laws to approve the practice within their borders and they are collecting millions in tax revenue from it. This may pressure VT state officials to hop on board as well. We’ve provided a list of Vermont cities that would most likely house sportsbooks if given the opportunity, as well as nearby cities that have them now. Those are some incredibly lenient and – dare we say it? – affordable fines for participating in an activity that the law of the land tries to prohibit. Nevertheless, most forms of gambling remain and are likely to stay restricted into the foreseeable future. VT Stat. 2133 takes a declaratory stance on the prohibition of any card, dice or table game where real money is involved, and even the short-lived allowable forms of gambling – like pari-mutuel betting on horse racing – was only allowed in 1960. Vermont’s sole form of legal in-state gambling is the state lottery (or interstate lotteries like Powerball). However, the presence of reputable, licensed, and regulated online sportsbooks hosted in other countries avoid all the potential violations that could be associated with gambling in general. It should be noted that the state has no specific prohibition on online gambling, lending further credence to the assertion that using these sites for legal sports betting in VT is safe. Vermont isn’t just lacking pf gambling opportunities, but it’s also devoid of any major professional or successful Division 1 collegiate sports programs. 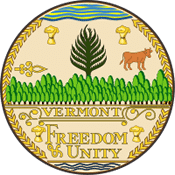 This is largely due to the state’s small population and land area, and the fact that Vermont is situated in the midst of much more populous states. However, a silver lining exists in this case, as the state is nestled smack dab in the middle of New England. This is a region rife with high-profile professional sports teams with some truly auspicious histories and which continue to draw a lot of fan support from throughout the region today. Since there are no longer any operational horse racing tracks, or any form of pari-mutuel wagering facilities in Vermont, the state’s stance on horse racing betting is a moot point. Vermont does not regulate online horse racing, but it does allow residents of the state to bet and win real money at sites that are legal according to US gambling laws. Green Mountain State horse racing fans are known to visit nearby Massachusetts and Connecticut in order to bet on the ponies, since both of those fellow New England states have land-based horse tracks in operation at this time. One of the upshots to living in Vermont, which doesn’t allow much by the way of legal gambling options, is that residents can at least participate in any daily fantasy sports (DFS) contest with no restrictions. DFS is considered a “game of skill” according to the overriding federal law on the matter, the Unlawful Internet Gambling Enforcement Act of 2006 (UIGEA), and the Senate bill VT S 136 was signed into law back in 2017 which legalized the activity. DFS players are free to draft their ultimate dream lineups from among the best athletes in the world of pro sport. From there they can go head-to-head with challengers from around the world, their friends from down the street, or the guys at the office. Best of all, DFS players in Vermont can win real money on a successful matchup between their chosen teams. Some folks in the Green Mountain State simply believe that playing DFS is more fun than traditional gambling on sports due to the greater degree of skill in picking winning players. This could easily become your next favorite means to legal Vermont sports betting. Can I Bet Real Money On Sports In Vermont? You can definitely bet real money on sports in Vermont, and you can do it legally at our top recommended sports gambling sites. That’s because – from Bovada to BetOnline – they’re all based outside the US, where federal and state bans on sports wagering simply don’t apply. They’re regulated by some of the most stringent gaming laws in the world by countries like Antigua and Latvia, so they’re backed by a completely solid legal standing. When you add that to an equally solid reputation for fast payouts and excellent customer service, it’s really a no brainer. You can bet real money on sports in Vermont by using these sites and, best of all, you can win a ton of cash too. Is Online Sports Betting Safe In Vermont? Betting on sports in Vermont is safe, but only through using offshore sportsbooks like those we previously recommended, which are Bovada, BetOnline, 5Dimes and SportsBetting. Using sites like these, instead of relying on unauthorized sites that operate in-state without a license or a shady local bookie, is the only logical choice since doing so won’t get you wound up in a heap of legal trouble. On top of that, you can rest assured that your information – both your personal info and your banking or financial info – is safe and secure at these legal Vermont sports betting sites. Will Sports Betting In Vermont Ever Be Legal? With the popularity of many of Vermont’s de facto professional sports teams on the rise, it’s got many sports fans wondering: will land-based sports betting in Vermont ever be legal? The answer, which we’re sad to report, is that you could be in for a long wait. Traditional gaming outlets, will in all likelihood not be legalized anytime in the near future because of Vermont’s adamant opposition to gambling. Fortunately, legal offshore sportsbooks like Bovada, 5Dimes, BetOnline, and SportsBetting have got all the odds on Vermont’s favorite sports teams and it’s completely legal to be a player at these sites. Will I Get Arrested For Sports Betting In Vermont? If you’re placing wagers with a local bookie, you would be violating the state law and could face penalties. However, no one on record has been arrested for simply placing wagers to online offshore sportsbooks. The simple fact is that many states have prohibitions on gambling of some form or other, but most of these laws are practically unenforceable, and furthermore, the federal laws that make blanket bans on sports betting are only directed at the operators of illegal gambling operations. What Is the Sports Betting Age In Vermont? Since Vermont has no land-based casinos, either commercial or tribal, there really isn’t much to go by with regard to what would be a hypothetical sports betting age in the state. However, if we look at what the state’s lottery requires in terms of a minimum age, then we can safely assume that the minimum age to place a sports bet in Vermont is 18. If you’re 18 years old or older, then you shouldn’t have any trouble using the leading online sportsbooks. Are There Mobile Sports Betting Apps Available In Vermont? All the legal offshore sports gambling sites we recommend do in fact offer mobile apps. These apps, which are free to download at the developers’ websites, are all available for Vermont users. The ones offered by Bovada, 5Dimes, and SportsBetting are one of the newest and most exciting forms of legal Vermont sports betting there is. These free mobile betting apps can be downloaded at no cost from the developers’ websites, and best of all they completely replicate the user experience and interface of their desktop versions. Where Is The Best Place To Bet On Sports In Vermont? There is nowhere physically located in Vermont where betting on sports is permitted, so the best place to do so is going to be at our top recommended legal offshore sports gambling sites. These sites offer the best of all worlds: a fantastic array of odds on all the teams VT sports fans love from the Patriots to the Bruins, 100 percent legality, security and safety, and even excellent promotional bonus offers to keep you playing. Definitely give these offshore sportsbooks a try when you’re searching for legal Vermont sports betting sites. Should I Use A Local Bookie In Vermont? You should under no circumstances use a local bookie in Vermont because such a person would technically be breaking the law just by offering to take your money to lay a bet on sports. Legal Vermont sports betting is possible at offshore sportsbooks based in other countries like Latvia and Antigua. Our recommended offshore sites with sportsbooks have way more and way better odds than even the most well-connected bookie, plus they are all 100 percent legal and regulated in their home countries so you never have to worry about dealing with a shady local bookmaker. Do Any Casinos In Vermont Have Sports Betting? This is a simple question to answer, and the response is pretty brief too: there aren’t any casinos in Vermont that have the ability to accept sports wagers because there are no casinos in the state. However, legal Vermont sports betting is a possibility thanks to online sportsbooks like Bovada, SportsBetting, BetOnline and 5Dimes, which provide all a sports fan could ask for from a casino-based sportsbook. Can I Bet On Sports With My Friends In Vermont? If you are looking to form sports pools with your friends as long as you do so discretely. This means that you keep wagers low, you don’t advertise the pool, and the person in charge of handling the pot does no receive an additional cut for doing so. If you don’t follow these rules it could be seen as a bookmaking business venture in which case is prohibited by state law. However, all of the offshore sites we recommended have great referral programs and contests you can join. All of these methods provide a great social experience and a fun way to access legal Vermont sports betting.